While it is known that the PayWizard has been in the UK for a while, the company is now using CES to announce it's way into the US market. The company is also making a new voucher system that can be used for gifting and promotions from content providers. 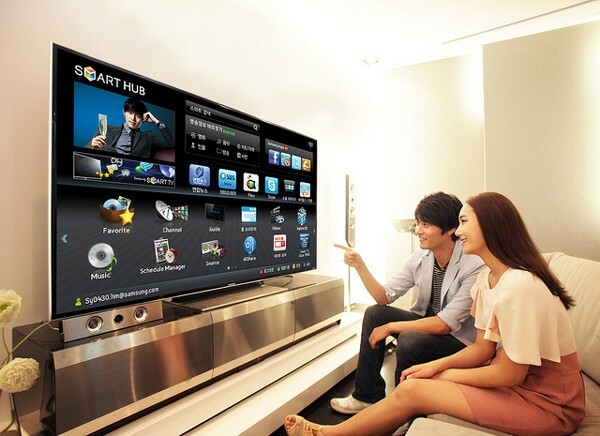 It still remains to be seen how widely it will be used, the company has already gotten off to a good start by announcing an application for Samsung's smart TVs, which will let people refill their balance and manage their accounts. PayWizard, the innovative provider of payment solutions to the digital TV industry, has brought its new vouchers capability to CES 2012. This feature enables a broader range of options for consumers from the already highly functional PayWizard® payment and monetization platform. Content owners, advertisers, pay TV operators and other players in the digital TV industry can now generate and manage vouchers, including those that promote specific merchants, facilitating an entirely new class of consumer engagement. Vouchers enable point-of-sale impulse purchasing, loyalty schemes and consumer-to-consumer gifting while dovetailing with pay-as-you go, one of the most game-changing payment paradigms to hit the consumer market in the last decade. PayWizard has also announced an account management application for Samsung's Connected TVs, which increases the number and types of devices on which PayWizard customers can manage their balance and transactions and replenish their accounts -- all in a quick, simple and secure interface. The Samsung application reinforces PayWizard's commitment to full multi-device payment functionality. Already integrated into tablets, smartphones and online, the Connected TV app fully completes the portfolio. "At CES last year, we introduced ourselves to the US market, promising that we would make significant progress within the year, and we have delivered on that promise with new customers, innovative new capabilities and the most flexible and commercially attractive payment platforms available today," said Stephen Petheram, Marketing Director at PayWizard. "We have attracted the attention of content owners, broadcasters and other merchants of high-value content who are now using PayWizard to maximize the revenues from their products. Today, when a stampede of new consumer devices are being launched into the market like here at CES, fully monetizing content is more complex and more important than ever. That's what PayWizard is all about." PayWizard can manage multiple different payment types, ranging from one-off card transactions all the way to a feature-rich, balance-holding e-wallet. PayWizard supports transactions made on multiple devices -- including online, iPads and other tablets, smart phones, connected TVs and digital set-top boxes -- and features a unique, web-based management dashboard that provides detailed real-time activity reports as well as valuable, actionable marketing information on viewer behaviour. This dashboard provides instant feedback on transactions, campaign effectiveness, consumption patterns and revenues generated and can be used to drive the development of personalised promotions and informed and creative cross-device marketing opportunities. PayWizard will be demonstrating the complete range of multi-device payment options, including an all-in Connected TV user interface, content discovery, and customer relationship and monetization solutions at CES 2012.